Show: Can you tell me how to get to Identity Street? 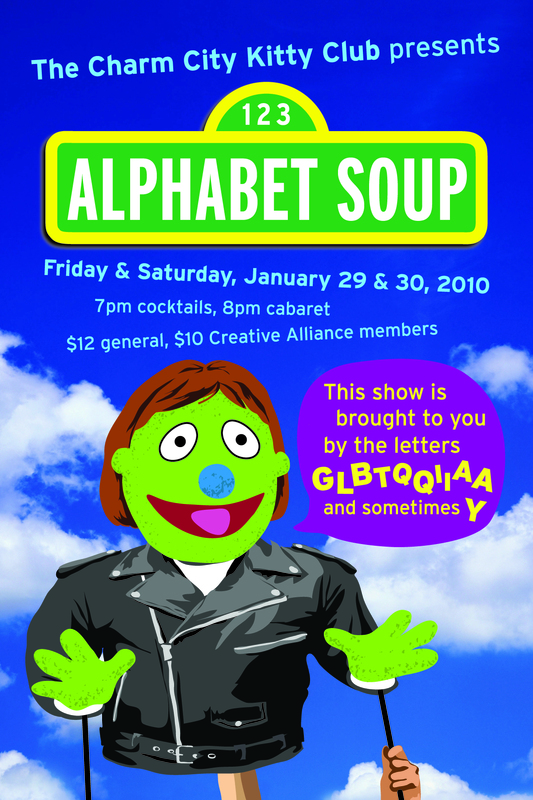 Join Bert, Ernie, Flaming Flamingo and the rest of the Charm City Kitty Club gang as we explore our special individual uniqueness. 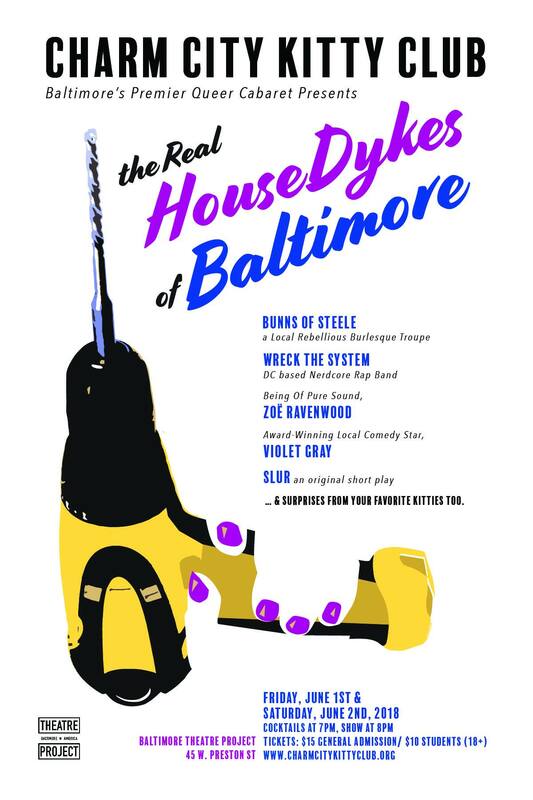 Charm City Boys will play host to the twelfth International Drag King Extravaganza; bringing the Olympics of gender performance to Baltimore. An amateur scientist based in New York, she is currently investigating the effects of particles of consciousness on particles of matter. Her lectures and demonstrations loosely focus on her research into the changing nature of light over the past 25 years, specifically through Madonna’s mediated documents on the process of self-illumination. Local heroine SONiA is a musician who is a musician who for years has delighted worldwide audiences both as a solo artist and with her band, disappear fear. The Kitty Club is fortunate to present SONiA’s energetic, conscience-driven. injustice-challenging music in an intimate hometown show. Hula hoop artist Michele Clark, a spinning kaleidoscope of magic and mystery, has charmed and mystified audiences across America with her hoop sorcery, weaving a tapestry laced with whimsy, fun and a greater story of personal power. The Chicago-based dance ensemble Choreographer’s Quartet presents Solo Suite, their first Baltimore performance. Each of the four performers – Masha A. Balovlenkov, Christina D. Eltvedt, Buenaventura Castrejon, and Amy Roby – choreograph and present a solo which touch on the range on emotional struggles present in everyday life: morality, temptation, fear and the struggle of letting go.